If you are suffering from tooth loss, choose the best option for tooth replacement with dental implants. Dental implants offer over a 95 percent success rate for a lifelong solution to treat all cases of tooth loss. No matter if you are missing one tooth or all your teeth, dental implants will restore your smile and oral health. As a dentist for dental implants in Bonita Springs, FL, we help our patients restore their smiles with the use of the latest dental advancements, including the cone beam scanner. With the best technology and a highly experienced dental team by your side, you will enjoy a complete smile that lasts a lifetime. 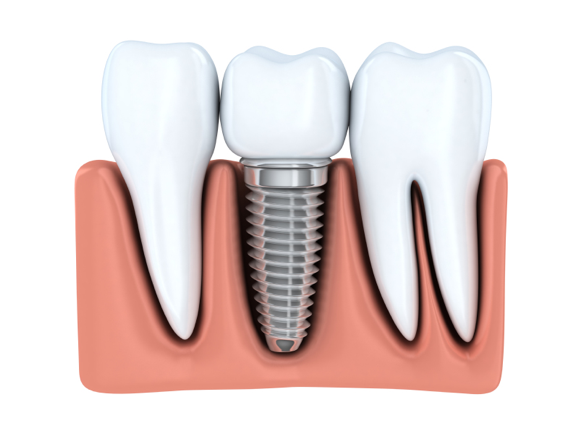 Dental implants are the only form of tooth replacement that is permanent. In addition, dental implants are the only tooth replacement option that most closely mimics the appearance and function of natural teeth while also preserving your bone density. To replace missing teeth, you will undergo a multi-phased treatment process. To begin the process, you will require a consultation to determine if you are a candidate for dental implants. To benefit from dental implants, you must have healthy gums and be free from any medical conditions or lifestyle habits that increase your risk for infections or hinder healing. In addition, you must have adequate bone density to support the implant. However, even if you have decreased bone density, you may still benefit from dental implants with bone grafting. To help evaluate your bone density and to create a customized treatment plan, we use the cone beam scanner. The cone beam scanner uses CT technology to provide 3D images of the jaw. This allows us to see your jaw’s bone density and structure. With the images, we have a pre-surgical virtual tour of the surgery, which allows us to implant the post with more precision and accuracy. After we have created a treatment plan using the images for implant placement, you will undergo the first phase of treatment. This will involve a surgical procedure to insert the implant posts into the jawbone. If you are only missing one tooth, only one implant post will be needed. If you are missing multiple teeth or all your teeth, anywhere from two to four posts may be used. After your jawbone has healed to the posts, abutments are then attached to the posts to anchor the dental crowns in place or the prosthetic arch if you are replacing all of your teeth. After your gum tissue has healed, the replacement teeth are attached to the abutments. After the procedure, you will have a confident new smile that will last a lifetime. As your dentist in Bonita Springs, FL for dental implants, we offer dental implants to patients who are missing one or more teeth. We will evaluate your tooth loss and oral health to create an individualized treatment plan to complete your smile. If you are ready to restore your smile with dental implants, contact our office today to schedule your consultation.